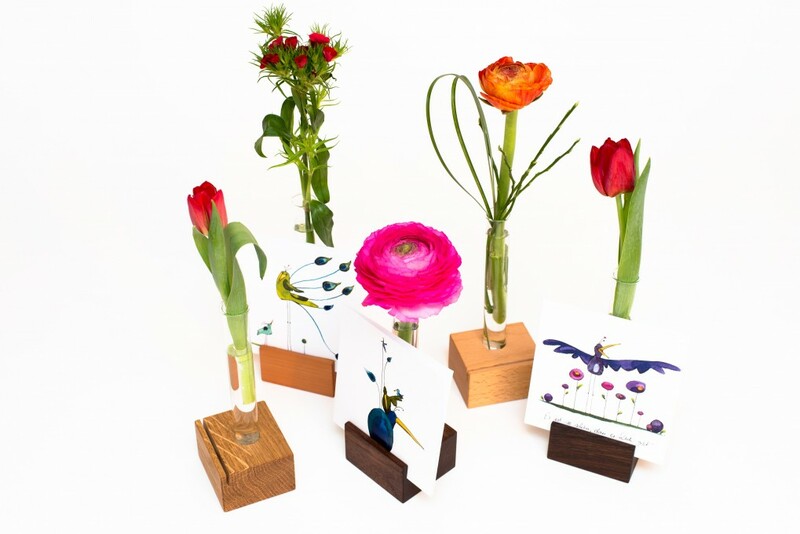 This versatile product made of solid oak wood can be modified to suit any party. 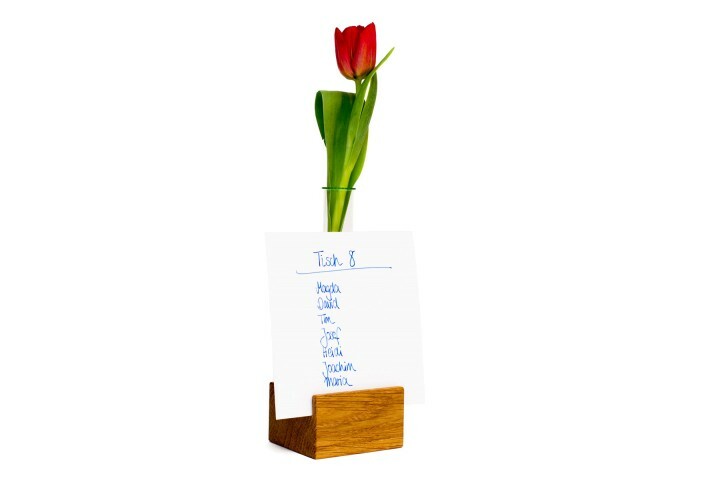 Simply place a flower in the vase and put a postcard or photo in the slot for a decorative effect. 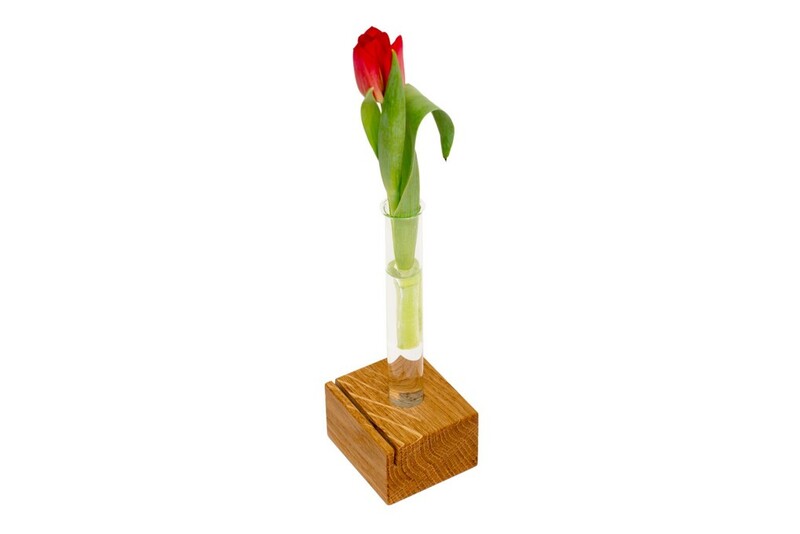 Enhance the wooden block by putting a flower in the test tube behind the slot. 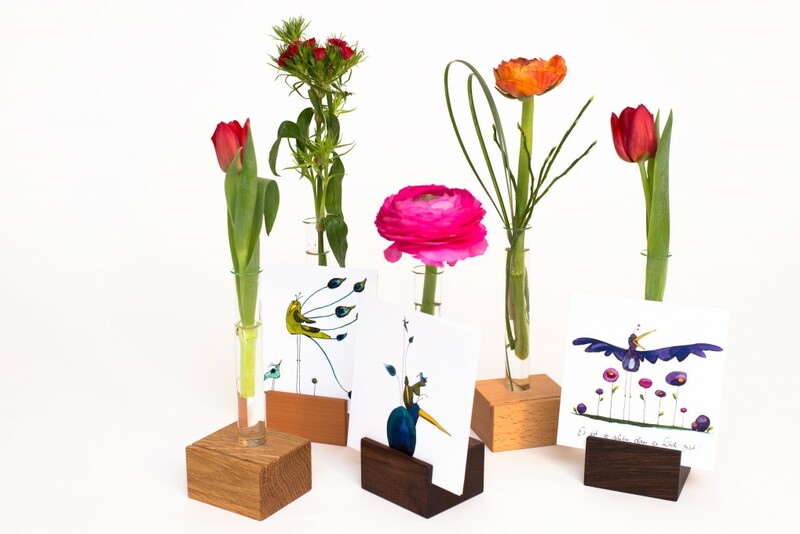 The weight of the solid oak wood allows for heavier stems without the worry of tipping over. 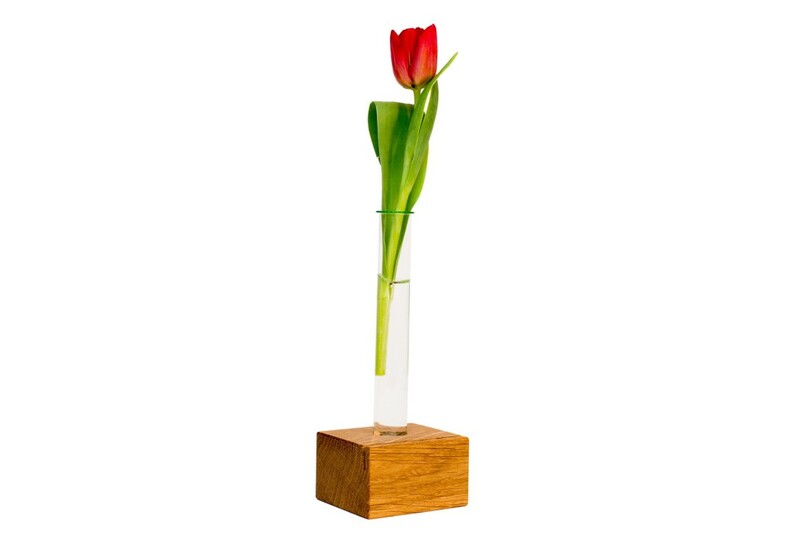 The test tube can be removed for cleaning.